Here is a picture of the first of 5 soyabean planters being loading on to a container to be sent to Kurdistan. 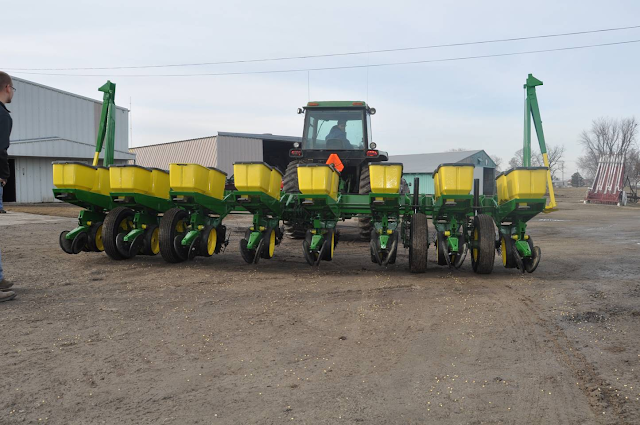 Hopefully, this equipment will plant 1000's of Donums of soyabeans in Kurdistan. This is a very exciting time for all those who are working towards revitalizing our agriculture. Soya is an important element in achieving our goal of some degree of food security in Kurdistan, and indeed in Iraq as a whole. I applaud Dr Salah Bakir , Karwan and SALT International for their continued commitment, which they have maintained against all the odds. A most welcome start to 2012.